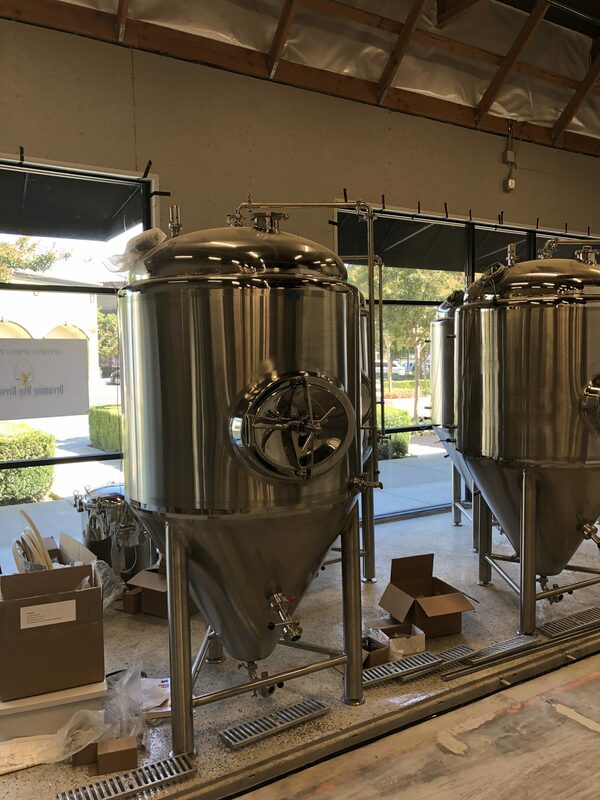 Elk Grove’s newest brewery, Dreaming Dog Brewery, will have their grand opening on Saturday, October 7. The brewery will be the city’s 4th, and first west of 99. Dreaming Dog will located in the Stonelake Landing Center by I-5, 2501 West Taron Court. 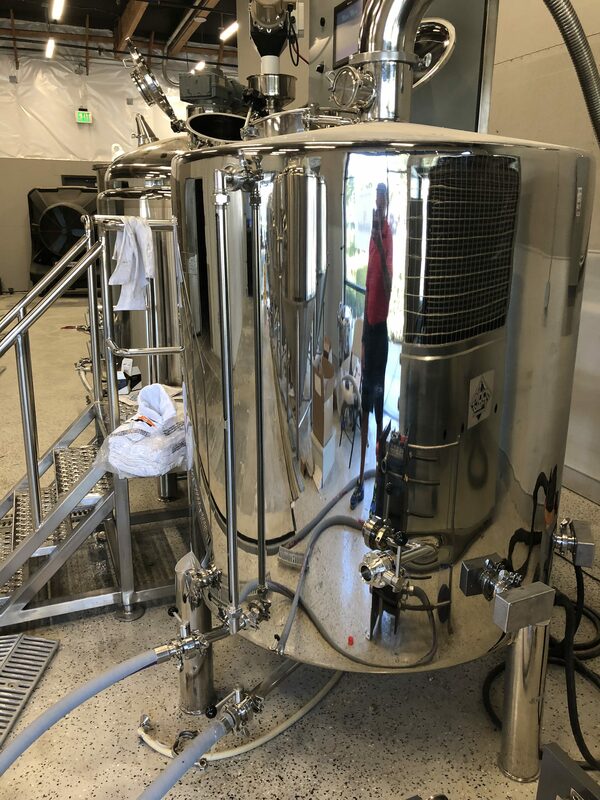 I had the opportunity to take a sneak peak tour of the place this morning with one of the owners, and the man that will be in charge of the brewing, Dave Brown. Brown was very gracious in his tour, and took an hour out of his busy day getting the place ready to talk about the brewery. Brown explained each step in the brewery process. 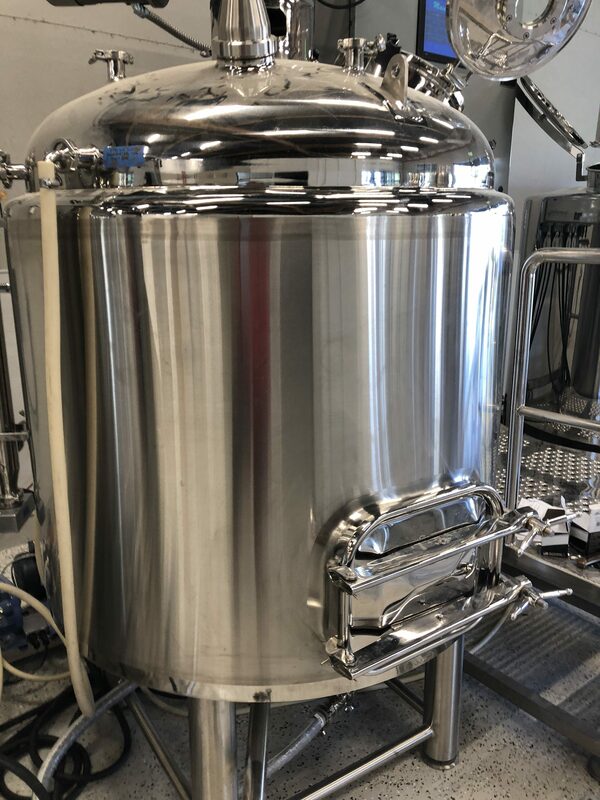 The first step is the grains, mostly barley, are placed into a tank with water temperature ranging from 130-150 degrees for 60-90 minutes. The temperature depends on the type of brewing and type of beer being produced. 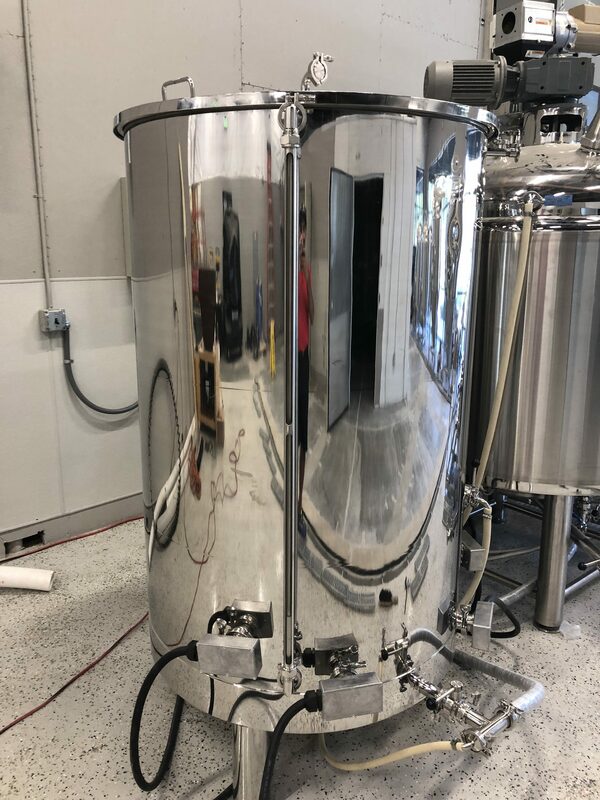 After that it is transferred into another tank called a Mash Tun. This is done to convert the starches in crushed grains into sugars for fermentation. The third step transfers the brew into the boil kettle. This is where the hops, sugar and other ingredients are added. The temperature is around 215 degrees. This is another 60-90 minute process. The hops provide the bitterness, aroma and a natural anti microbial. Brown said beer will not make you sick. There are no bad bugs in it. It may taste bad, but it will not harm you. The 4th step involves running it through the plate chiller. This cools it down to 55-60 degrees, using water and glycol. Then it is pumped into the fermenter. Brown said this is where the magic happens. This is where the flavor is generated by adding yeast. He said there are two distinct strains. Ale yeasts are top fermenting and is kept around 65-70 degrees and Lager yeasts are bottom fermenting and kept around 45-50 degrees. He said the exceptions are Belgian yeasts that are often above 90 degrees. Some beer stays in the fermenter for 7-10 days, and some could be 3-4 weeks. The ale takes less time and the lagers and Belgian take longer. From the fermenter, the beer goes into a Brite tank where it is conditioned and carbonated. Brown said that the Belgian is conditioned in bottles instead of tanks. Brown said that he has been brewing his own beer for 20 years, but started taking it more seriously about 5 years ago. He and his wife, Elizabeth, starting talking about having their own brewery 3 years ago. He said he is the scientist and brewer and she is the one in charge of promoting it and the social side. I asked Brown how they came up with the name and he said it was named after their dog Mason, the mascot in their logo. He said Mason would often have wild dreams at night. Brown got emotional talking about Mason, because he passed away this past spring at the age of 12 years old. He was a Belgian Malinois and lab mix. He said that one thing Dreaming Dog wants to do is give back to the community and also work with other local businesses in the area. He said they have talked to several local restaurants nearby, as well as Rescate Coffee and Spease Bees Honey. 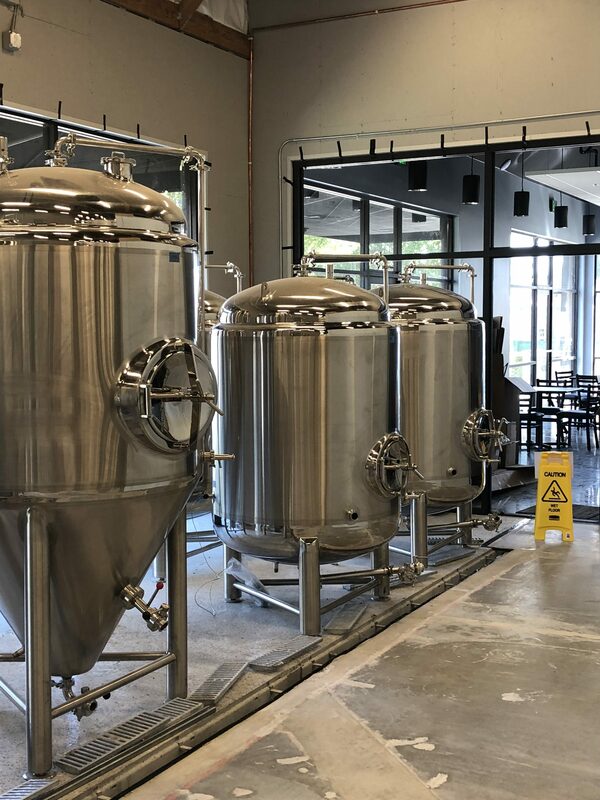 He said they will not serve food at the brewery, and instead will rely on the local eateries. Customers will be able to bring food into Dreaming Dog. He said they will occasionally have food trucks, but they will not compete with existing restaurants. For example, he will not have a burger truck, because Flaming Grill is nearby.